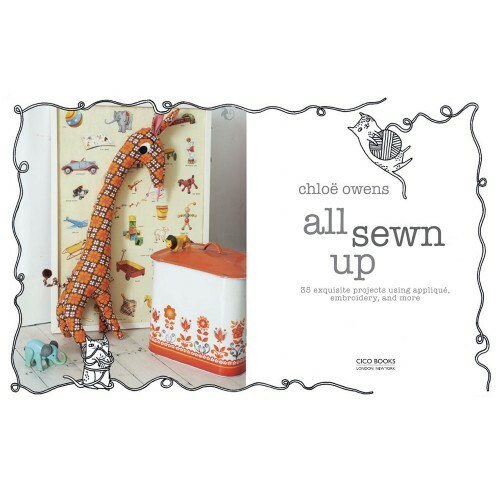 By replacing pens and pencils with needle and thread, and paint with fabric appliqué, Chloe Owens has applied artistic principles to sewing and created these unique projects showing her true passion for handcrafted things. 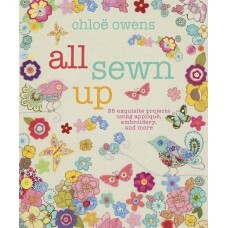 Packed full of 35 crafty ideas, Chloe uses a wide variety of techniques from embellishment and adornment to freehand embroidery that are forward thinking but still inspired by vintage style. Split into five chapters, start by making something fun for a lunch with friends in Cooking Up A Storm. 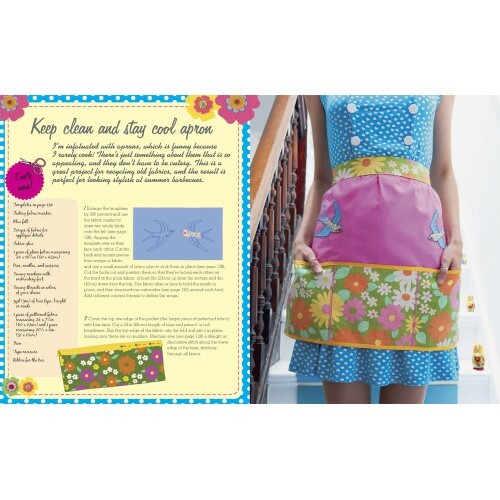 There are pretty placemats, table decorations and even an apron for the hostess. In Cuddly Companions you will find a giraffe, lion and bonkers bobtail bunnies to sew, each one decorated with pretty stitches. Gifts comes next, with tote bags and quilts that friends will love to receive. If you adore long lie-ins then Rest Your Weary Head has pillows with appliqué and embellishments, plus a Holly Golightly inspired eyemask. Finally, Room Decorations has wall murals and hangings to add a splash of colour to your home. 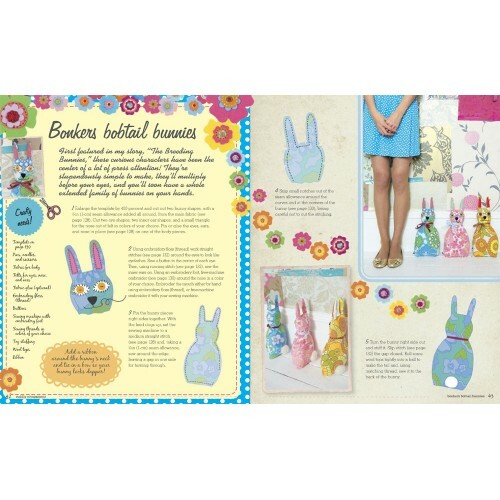 Every project comes with step-by-step instructions and adorable artworks, making everything so simple to stitch. There is also a handy techniques section and templates to help you along the way. So what are you waiting for? Grab a needle and thread and get down to some seriously creative crafting!